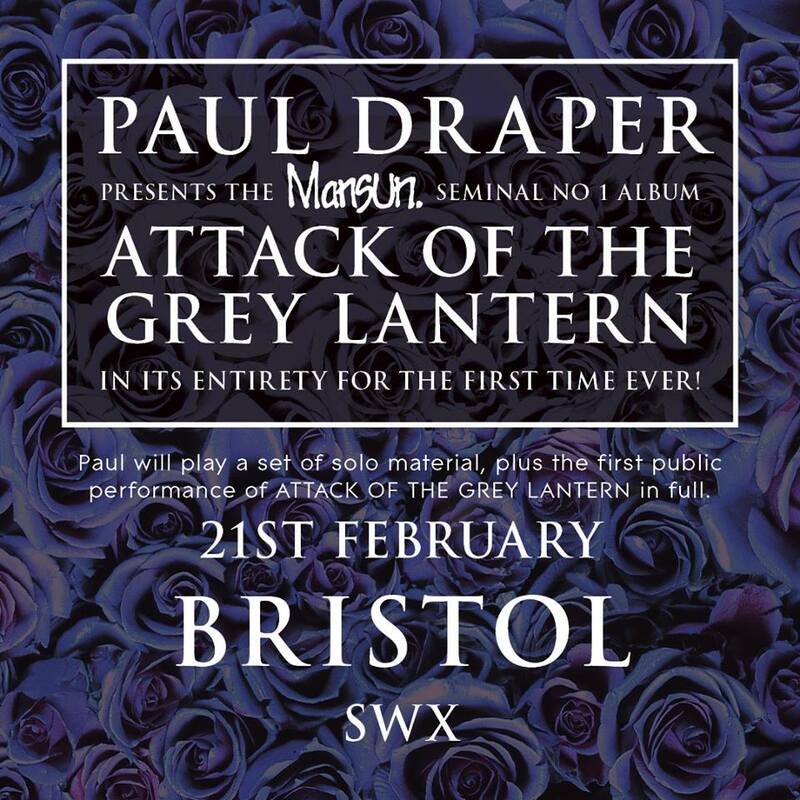 Due to the closure of Bierkeller, Paul’s Bristol show on 21st February has moved venue to SWX Bristol. All original tickets remain valid. Paul will play a set of solo material, plus the first performance of Mansun’s seminal No.1 album Attack Of The Grey Lantern in its entirety!